How should I set up my Math League Adaptive Learning System account? 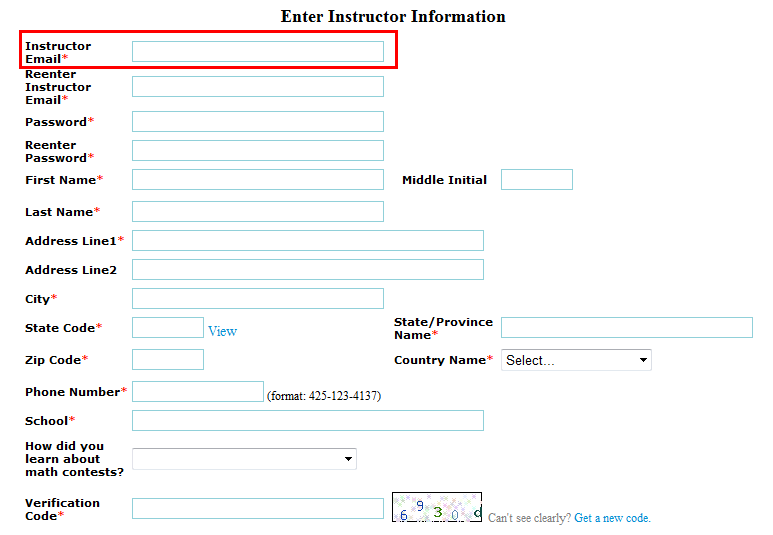 Why should I not use a temporary email in Math League Adaptive Learning System? Should I be using my school email or personal? Why have I not received the activation link in my email yet? I have been having trouble logging into the Adaptive Learning System. I tried registering, but then it said my email address is already being used. Then when I tried to have my password sent to me, it said that my account has not been activated. I have been having trouble logging in to the Adaptive Learning System. I have registered and activated my account, but when I tried to log in to the system, it said that my browser is not currently set to accept cookies. Why should parents/teachers set up accounts for their children/students? What is the difference between a parent account and a student account? A student account requires the student's email address. What if my child does not have email yet? (1) If you are a teacher, you need to set up a teacher account. An activation link will be sent to your email. You need to click on the activation link to activate your account. You can then log in to register your students, assign homework, i.e. contests, to your students, administer online Math League Contests to them, and etc. (2) If you are a parent, you need to set up a parent account and a student account, or multiple student accounts if you have more than one child. An activation link will be sent to your email. You need to click on the activation link to activate both your account and the student account for your child. You can then log in to assign homework, i.e. contests, to your child, and view your child’s performance at school. It is for your convenience. We understand that some people have bad experiences signing up to a Web site and ending up receiving unwanted advertisement messages. In Math League Adaptive Learning System, you do not need to worry about that as your email will never be disclosed to any other party. We only occasionally send you a message for your student's or child's academic status or for a Web site event (such as contests dates or emergent site downtime). If you use a temporary email, you will miss the information you need. Feel free to ask any existing Math League Adaptive Learning System users about this concern. You need to create an account in Math League Adaptive Learning System at http://online.mathleague.com/selectregrole.php. You can use either your personal email or school email, figure below. Your email service provider such as Yahoo and Hotmail may have filtered our email messages to the "Bulk Email" or "Junk Email" folders. You need to check those places and set your account to receive our emails (webmaster@mathcontestsonline.com and INFO@LTHOUGHTS.COM) to your inbox folder. The email delivery happened to be slow that day. If our message does not arrive after one hour, you can also request a new activation link to be sent to your email address. If you still cannot get your activation link, you need to send your email, name, and phone number to INFO@LTHOUGHTS.COM for help. We will manually activate your accounts and send notification to you. This means you registered your account, but you haven't activated your account. You need to click on the activation link we sent to your email box to activate your account. If you haven't received the activation link in your email box, please check Question 4 above. A cookie is a small piece of information stored by your browser to help identify you. If your browser is set to reject all cookies automatically, you won't be able to log in to Adaptive Learning System. Instead, you may see an error message. If your browser is set to not accept cookies, you should change it to accept (or "enable") cookies. Learn more about setting your browser to accept cookies. Most of Math League Adaptive Learning System users are young students. They need their parent's or teacher's directions and assistance in using Math League Adaptive Learning System or any other Web services. We do not accept kids enrolling to our Web site without parent or teacher permission and guidance. Thus, we require parents or teachers to set up accounts for their children or students. Math League Adaptive Learning System will only use the parent's and teacher's email to communicate a student's status. Parents and teachers can see everything about their children/students under the master account. A student account requires the student's email address. What if my child/student does not have email yet? Math League Adaptive Learning System uses an email address as a user's unique identifier, and it is easy to remember for most users. You can put an imaginary email address for your child/student as long as it's unique in the system. For example, say your child/student's name is Janet Moore. You can put janet_moore@hotmail.com as her email. Math League Adaptive Learning System does not send messages to it. We occasionally send notifications to the parent's or teacher's email only.